"I think about my Grandfather a lot and working in fashion as well... 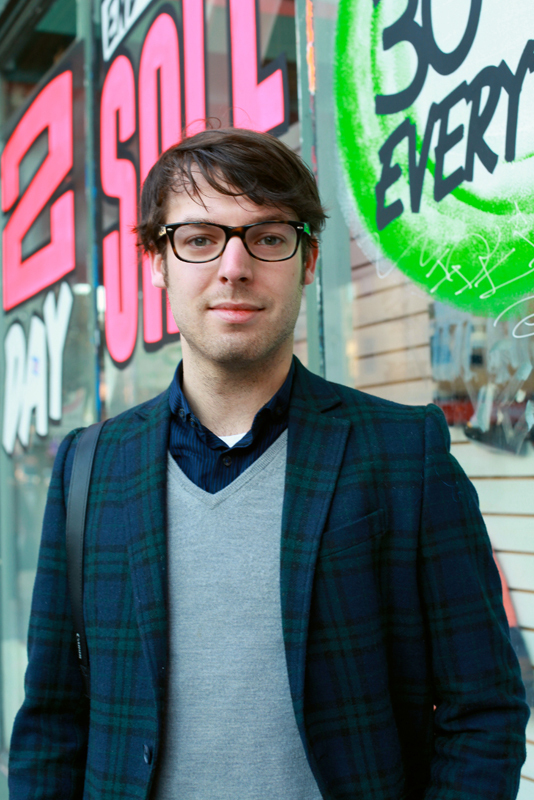 I used to work at Ben Sherman." 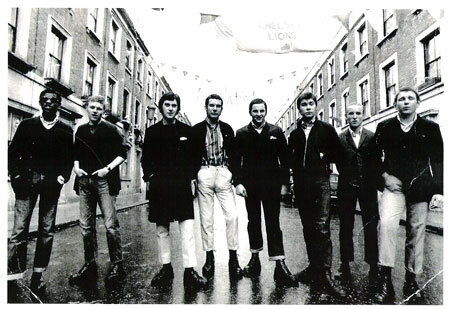 Something about the cut of his jib, okay, well the cut of his jacket and jeans, the way he wears his boots, reminds me of the "uniform" of mods/skinheads in the 60s (see below). It's not that often this type of preppy (and yes, it definitely has elements of what we would label preppy) shows up in my 'hood. So I was glad to run into Ross and grateful he let me take his picture. Maybe, not too surprising, Ross used to work at Ben Sherman, a label that clothed and aesthetically inspired 60's era mods/skinheads. 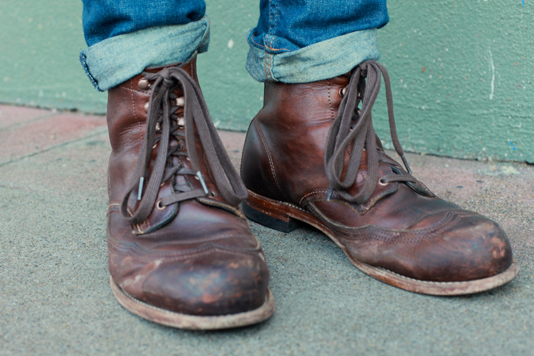 Fabulously well-worn boots with a leather sole. Ross asks that we excuse the leather stains from walking in salty marshes. 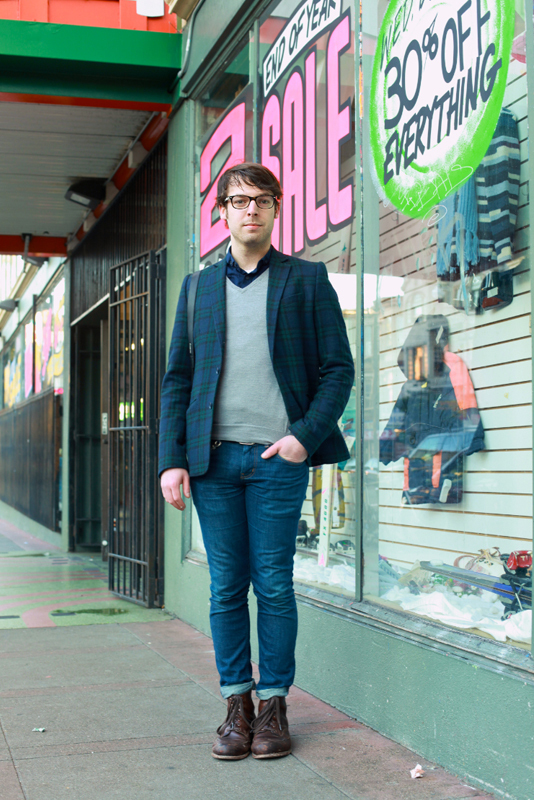 I personally like worn-in leather shoes, especially on guys. i spy THRIFT TOWN! :) holy, i miss that place. Yes, Thrift Town indeed. I noticed that it's good for scouting street style in the later afternoon.